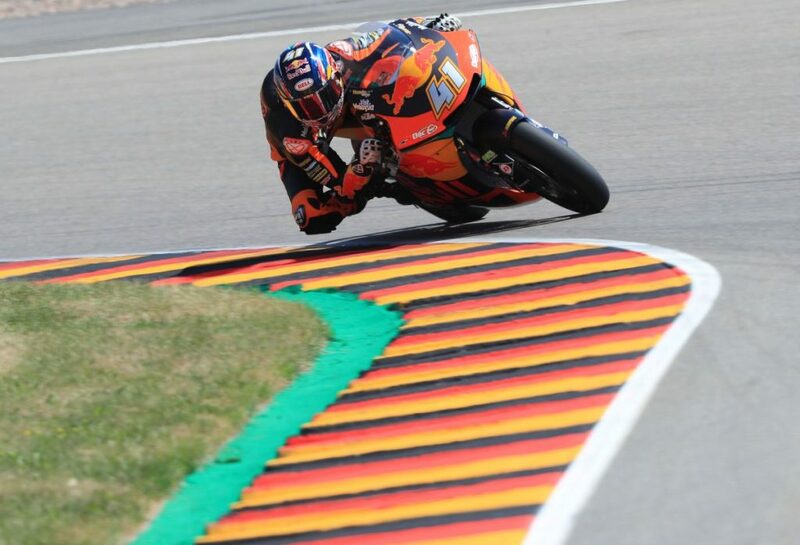 South African Brad Binder has taken his first victory in the World Moto2 Championship in the German round at the Sachsenring circuit. 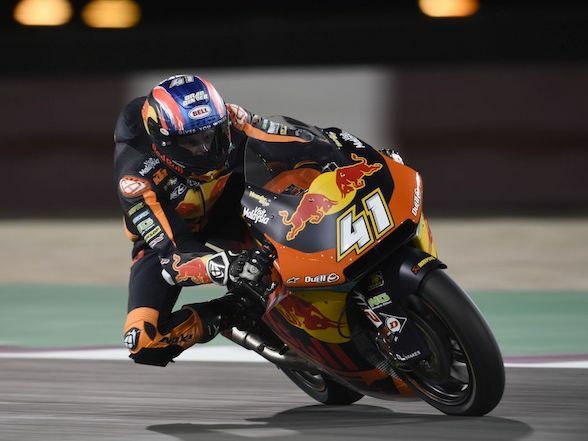 Binder’s victory was challenged to the wire by Moto3 champion Joan Mir and Luca Marini, the half brother of Valentino Rossi. Binder has had a strong showing throughout the weekend. 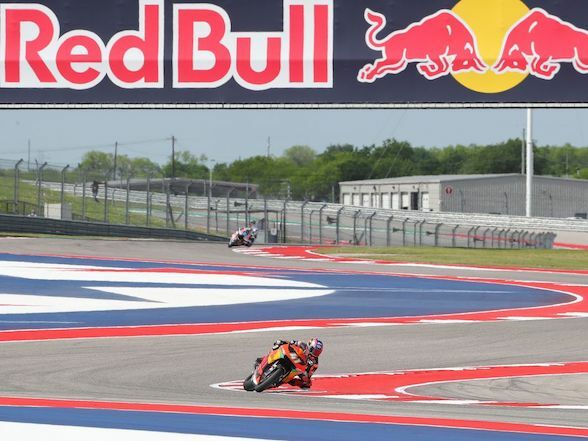 Traditionally, he has never featured much in practice, usually finding himself out of the top ten and sometimes even out of the top twenty – especially in qualifying – but would then usually fight back during the race to finish in the top ten. 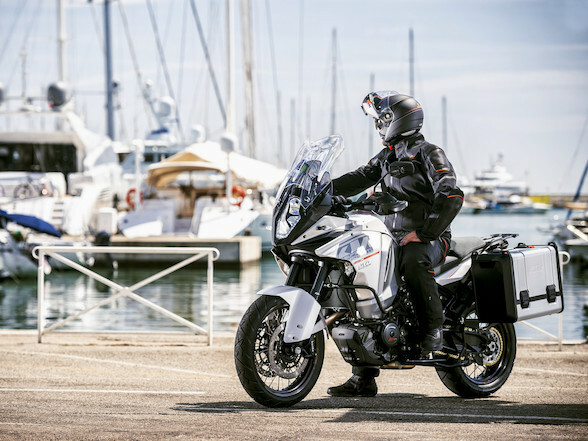 There were suspicions that he would be strong in this race, as he has consistently finished practice in the top ten with times very close to the session leader, and then qualified in tenth place, a good deal better than usual. Binder got a good start and found himself up in seventh on the first lap. 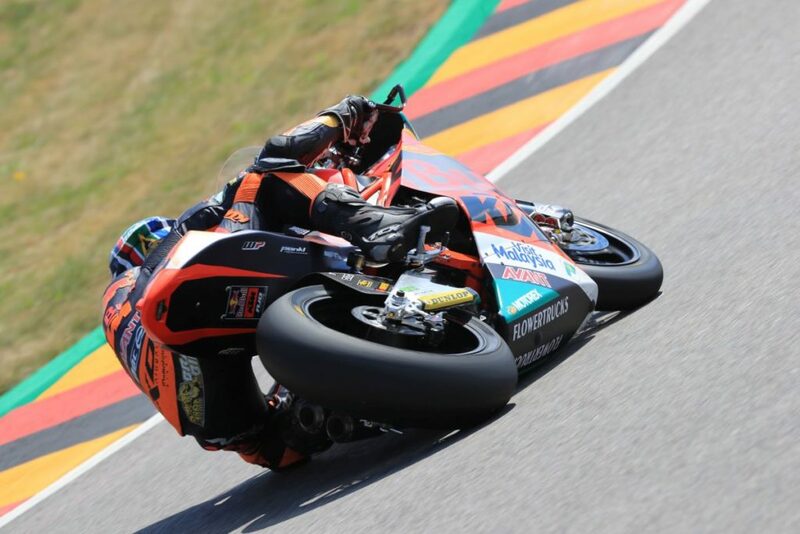 After a few incidences ahead of him and some hard overtaking on the tight German circuit, Binder found himself in third place, behind Luca Marini and Joan Mir, and with a good gap to Sam Lowes, Marcel Schrotter and team mate Miguel Oliveira. 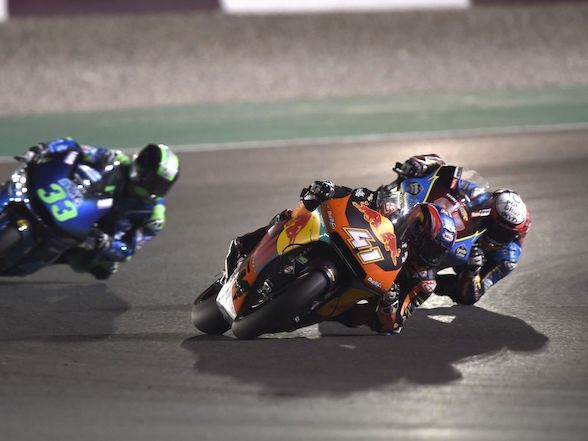 By half race distance, Binder had made passes on both the riders in front of him and the whole of South Africa held its breath as the longest 15 laps of their lives took place. Throughout almost all of the second half of the race, Binder maintained a roughly half second lead to Mir with Marini shadowing in third. Life was made even tougher for the South African when his rear tyre started spinning with ten laps to go. 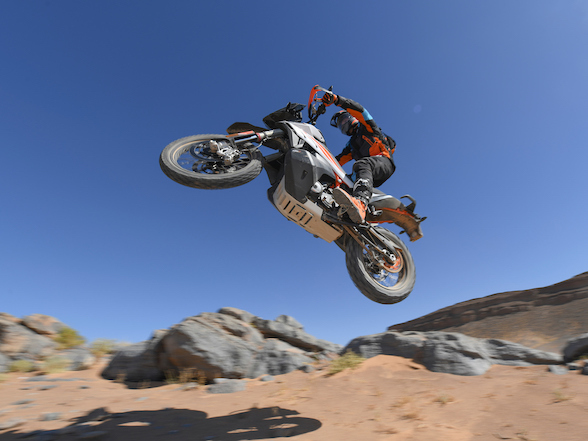 With three laps to go, Mir put in a helluva push and closed the gap to just 0.2 seconds as South African hearts all over the country stopped. 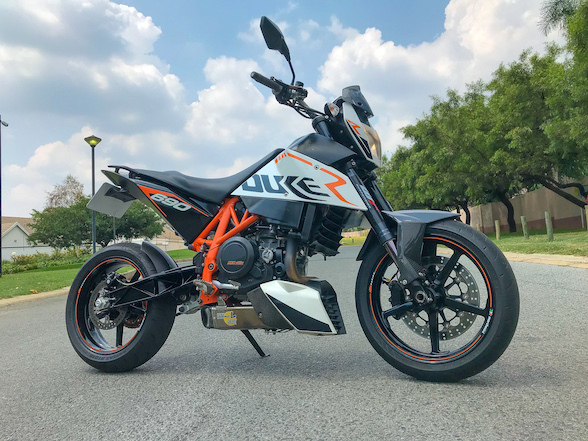 Binder managed to hold it together, though, punching in a strong final two laps, and crossed the line for victory with a 0.779 sec lead to the elation of him, his team and the whole country. This is Binder’s first victory in the Moto2 class, and hopefully the ice-breaker that will lead to many more. 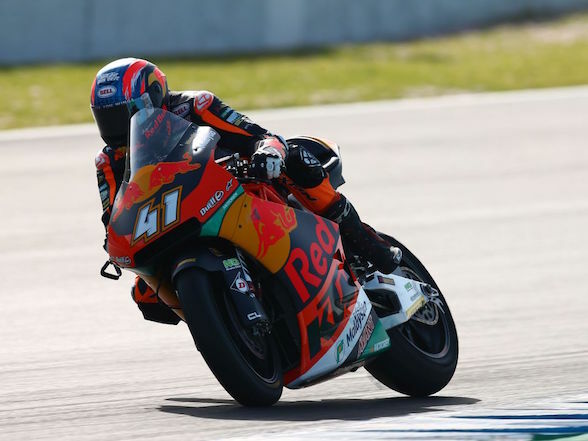 As we reported previously, Binder has signed for the Red Bull KTM Ajo Moto2 Team again for 2019, and we can’t help but think he is going to put in a massive title push, especially as he will be leading the motorcycle’s development going into a new Triumph motor era. 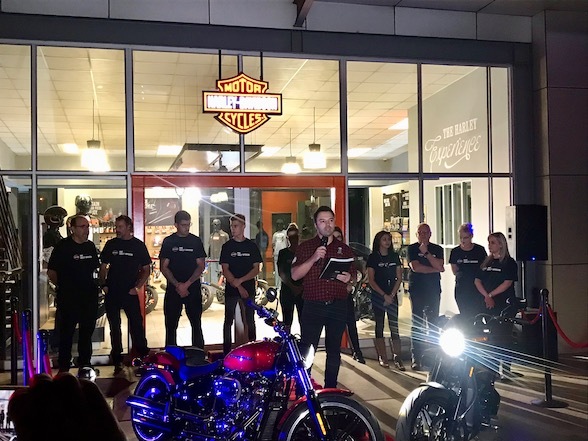 Keep an eye on The Bike Show Website tonight for quotes about the Binder victory. 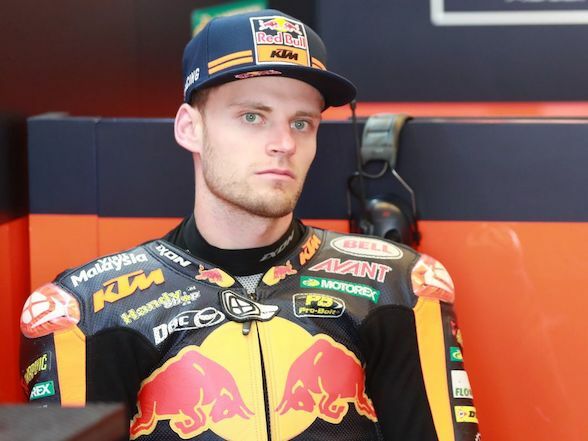 Next Post Brad Binder on German win: "It doesn’t seem real to me."